Iceland announced it was dropping its bid to join the European Union in line with pledges made two years ago by its then new eurosceptic government, the Foreign Ministry announced on Thursday. "The EU and Iceland have discussed the country's position on the status of its bid to join the European Union," the statement reads. "The government does not intend to resume preparing for EU membership." A formal letter announcing the decision was reportedly delivered to Latvian Foreign Minister Edgars Rinkevics. Latvia currently holds the rotating EU presidency. The Nordic island country first applied for EU membership in 2009 under a leftist government, when the country was badly shaken by a damaging economic crisis, making eurozone membership an attractive prospect. But the thorny issue of fishing quotas was seen as a key obstacle although the issue was never brought up in the accession talks. Fishing represents an important part of the Icelandic economy. Opinion polls also began to show growing resistance among Icelanders to EU membership. When the centrist Progress Party and the right-wing Independence Party came to power in 2013 they suspended the talks with Brussels, although they backed down on a promise to hold a referendum on joining the EU. 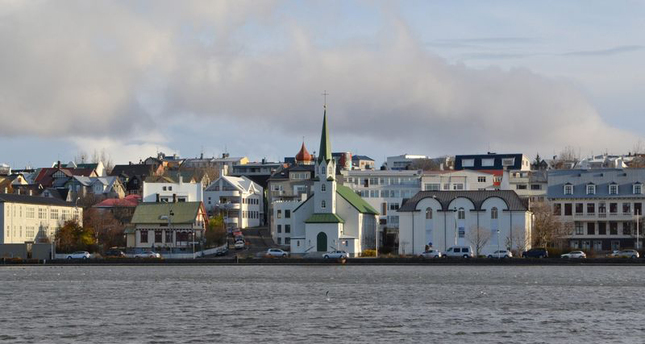 Iceland has said it wants to maintain "close ties and cooperation" with the EU, according to AFP. The North Atlantic island is already a member of Europe's border-free Schengen area and the European Economic Area.